How Much Wine is Safe to Drink? In the UK, new guidelines being proposed recommend reducing your consumption to 14 units a week. A single bottle of wine at 13.5% equates to 10.125 units of alcohol,’ Andrew Jefford at Decanter magazine tells us. He calls some of the advice of Britain’s Chief Medical officer toxic, and reminds us that she has written off the cardio-protective properties of red wine as ‘old wives’ tales’. Large scale studies on diet have been suspect ever since Ancel Keys’ Seven Countries Study (he began with 22 countries but dropped the 15 that didn’t fit his preconceived ideas). The green countries are the ones with the highest wine consumption, the highest longevity and the lowest rates of heart disease in Europe. 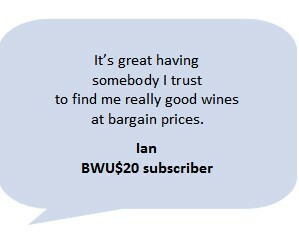 My website has put me in touch with many wine people. I just wrote a couple stories about Leo Buring who dies at 85 and John Vickery who’s about the same age but very much alive. Ray Kidd who ran Lindemans decades ago, is a very energetic 90-year-old. Ray Beckwith, the chemist behind Max Schubert, lived to see his 100th birthday. Max died before he reached 80 but he had emphysema from a lifetime of heavy smoking. I could add André Simon, James Halliday, Peter Lehmann, Ian Hickinbotham and many others. Let’s use some common sense here: Most people who drink wine down under most likely eat healthy food as well, and make sure they get some exercise. The Mediterranean diet is held up as a healthy one, but lots of people in France, Spain and Italy also work on the land without the aid of mechanical harvesters. So is it the diet or the lifestyle? The Japanese eat a diet very low in fat, and their rate of heart disease is about half that of America, Britain, Australia and New Zealand. On the other hand, the French eat a lot of fat yet their rate of heart disease is around half that of America, Britain, Australia and New Zealand. The Koreans drink very little red wine, and their rate of heart disease is about half that of America, Britain, Australia and New Zealand. The Italians drink vast quantities of red wine yet their rate of heart disease is about half that of America, Britain, Australia and New Zealand. The obvious conclusion is this: Eat & drink what you like. It’s speaking English that kills you.